London’s groundbreaking hair salon brings sustainability and environmentally friendly products to your hair care, all in premises custom built by Lozi. Sustainability is built into every aspect of this new salon in London’s Newington Green - from sustainably made commercial interiors designed and created by Lozi to plastic free refills and recycled chairs. In 2018, when “recycle” is not just a quiet plea but a global call to arms, we refuse to use straws, tote Bags For Life around supermarket aisles and count our reusable water bottles as a key component of our gym kit – why should where we go to get our hair done be any different? Co-founder Anita Rice in a recent interview with Because Magazine. Bio Laminate technology was used to create the surfaces. Sustainably sourced plywood was used throughout. One of Lozi’s first commercial premises, the focus was placed on materials when designing this sustainable space. The shape and designer features of the pieces were dictated by the salon’s functional needs, from hairdryer holders to specifically sized storage space, so sustainability was brought in through surface finishes, material choices and economic manufacturing processes. Lozi favourite Smile Plastics were our first point of call, and their magical white yogurt pot surface covers the downstairs stations. COmbined with oak veneers it beautifully offsets the wall colours. 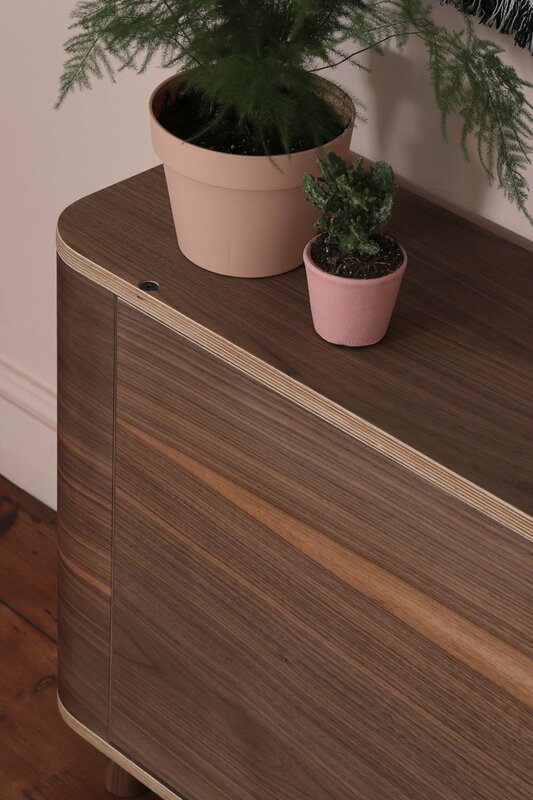 A new addition to Lozi’s material library are HuisVeendam bio laminate surfaces, as used on the upstairs stations. Using potato starch as a raw materials, they combine it with straw and other sustainable bio materials and turn them into textured panels to be used in interior design. 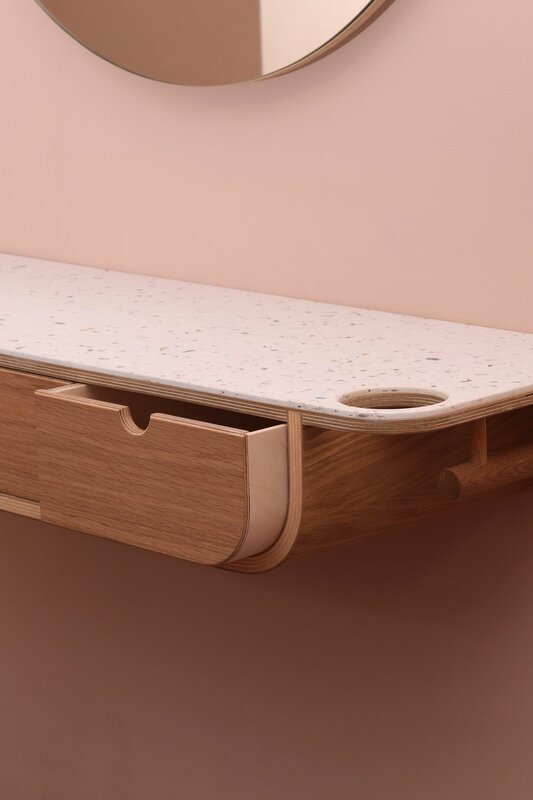 As always, our plywood and veneers come from sustainable sources and our efficient and virtually waste-free manufacturing processes have been applied to this project, creating stunning interiors that don’t harm the environment. The refill station, encouraging customers to refill rather than buy new packaging. The luxurious interiors, all made from repurposed, reclaimed or sustainable materials. Sustainability is built into every aspect of this salon. Buller and Rice work exclusively with sustainable hair care brand Davines. They offer a product re-fill bar to allow customers to bring back their empty packaging to refill at a reduced cost, taking their product offering to the next level. Education is also key, with the growing demand from consumers surrounding the health of their hair, Buller and Rice will be launching a complimentary hair health service, where 15-minute drop-in slots will be available daily. The salon is full of vintage inspiration that continues the sustainable approach to design. The original mosaic flooring has been restored and was the inspiration for the colour palette and is reflected in the soft furnishings. The hairdressing chairs are repurposed Belmont chairs originally from a barber shop. They have been rescued, restored and re-upholstered locally instead of purchasing new items specifically. A handful of vintage and reclaimed furniture finishes the salon. A perfect way to bring sustainability into your beauty routine!